There’s a lady named Frau Walter, who has been coming to eat at Hotel Stefanie every day, for the last 17 years. After experiencing this characterful, old, classy hotel’s lavish weekend brunch, we can understand why. We’ve never felt so special brunching in our lives. On a quiet, normal Sunday, we visited Hotel Stefanie for their brunch buffet. While we had heard a lot about the experience, we didn’t think it would leave such a lasting impression, and that it would turn out to be such a special, undiscovered experience. 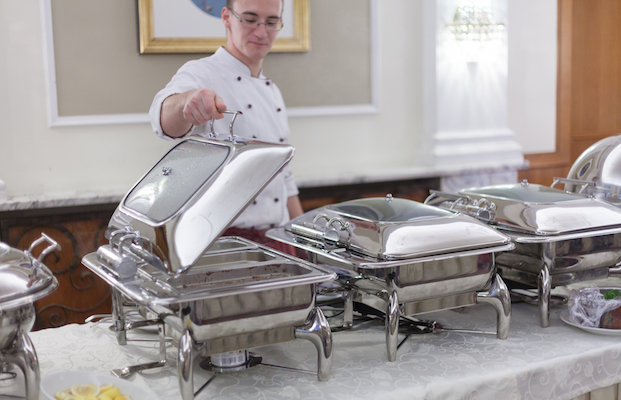 We got to take part in something, which seems only the older generation of Vienna has discovered – the wonderful brunch buffet in what claims to be the oldest hotel in Vienna. Being amongst the older crowd is surprisingly refreshing. We feel like we’ve been given access into another, classier, world; a world where a man removes a woman’s coat and still wears a hat everywhere he goes. The owners of the hotel, the family Schick (meaning ‘chic’ in German) couldn’t be named more suitably. We imagine the whole family is all smiley and fun, just like every member of the Stefanie staff. 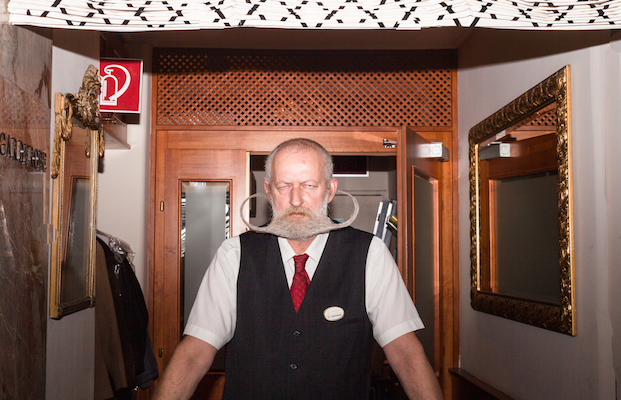 From the funky portier sporting an impressively styled moustache (that could scratch the insides of his nostrils if he instructed it to) greeting people at the entrance, to the cooks in the kitchen – all are wearing smiles. The warm vibe has an effect on the brunchers, and you can't help but smile and laugh when the waiters come to you and serve a complimentary joke with your breakfast. There are rules at the Sunday brunch of Stefanie: before the clock strikes midday, all guests are to arrive and be seated. 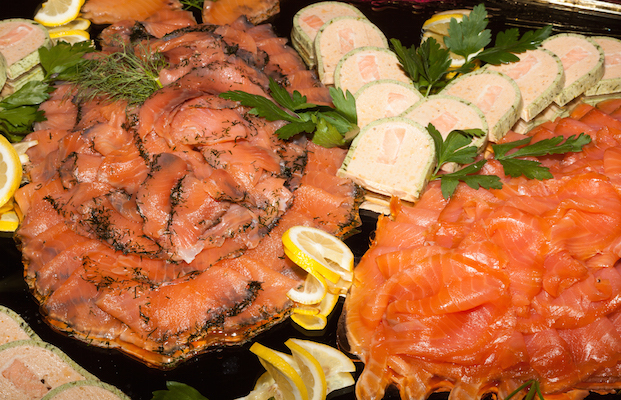 There upon, the grand opening of the buffet commences, with the plentiful variety of little breads, cheeses, meats, salmon, and champagne neatly laid out. 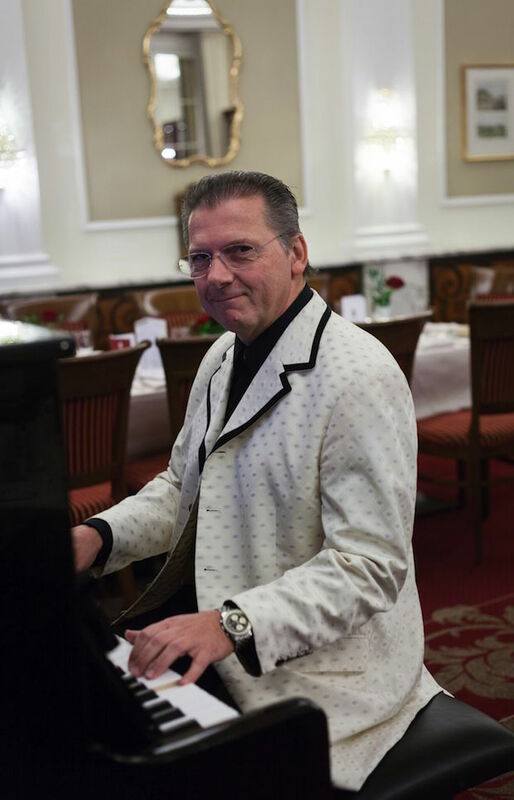 By around 12:25, all guests had arrived and were seated while the grand maestro – the pianist – began tapping away at the keys with his romantic tunes. 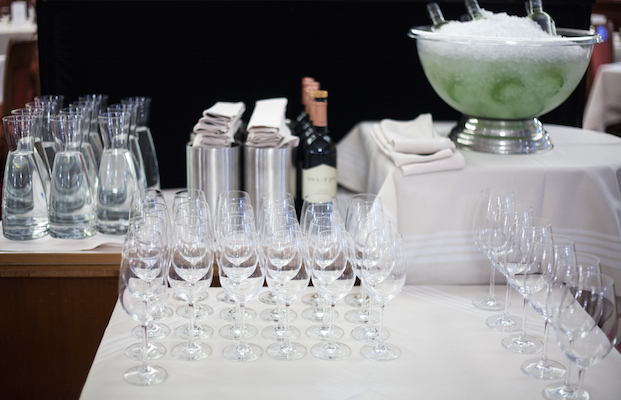 At this time, the head waiter came up in front of his visitors, made a brief speech about the beauty of Sundays and food and announced that ‘the brunch is now open!’ The wooden wall concealing the buffet from the tables of hungry brunchers was removed, and brunch was served! 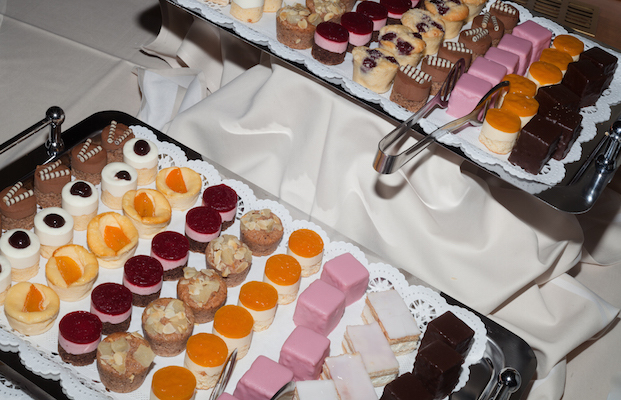 Exquisite foods are amongst the spread – cold salads, herring, salmon, meat pate’s of all sorts, Schnitzel, Gulasch, a range of colourful pastries – all of it sitting there, staring up at us, waiting to be taken back to our table and demolished. 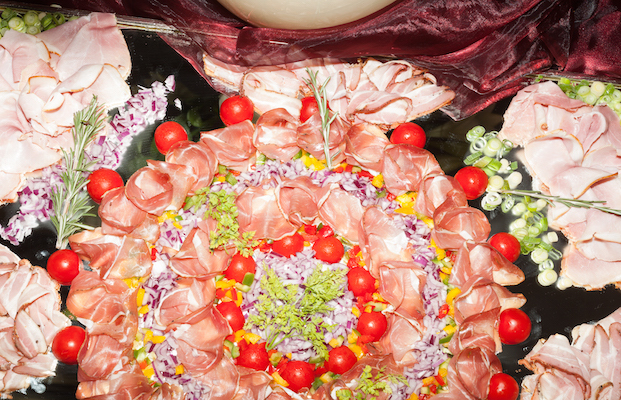 The Austrian classic theme of the dishes in the restaurant is no surprise. The hotel is named after a Belgian princess who became Crown Princess of Austria in 1881. 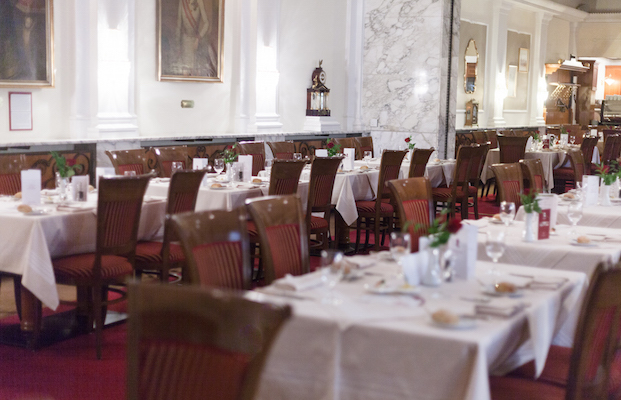 The décor and traditional Austrian values are kept in tact in the hotel, as well as the restaurant. The hotel boasts a wonderful collection of antique clocks, old washing bowls – which Stefanie had used to bathe – and other old stuff. 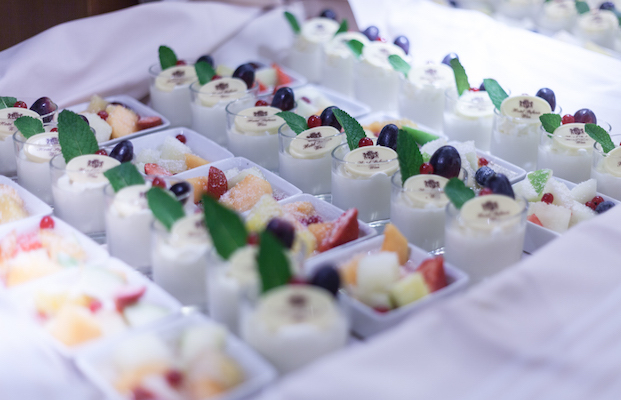 Every inch has been tended to with a careful attention to detail, just as the brunch has been. To round off this experience, you should try and get a word in with the beautiful Frau Walter, like we did. Warning: you may not be able to get away once you start chatting with her. 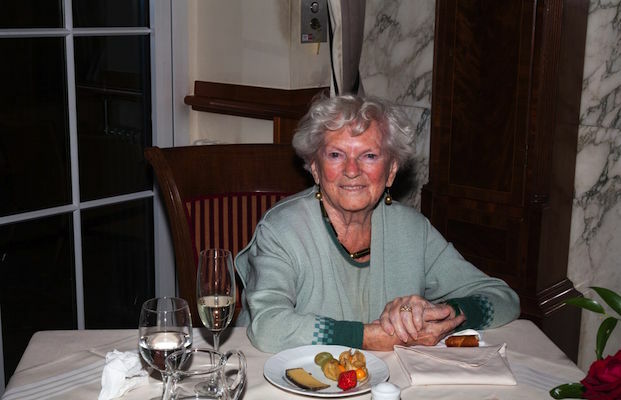 Frau Walter has been coming to eat at Hotel Stefanie every day for the last 17 years, sitting at the same table – Every. Single. Day. In our conversation with Frau Walter, she tells us about the classiness of the restaurant and how everyone is welcomed with open arms. She then moves on to tell us some dirty stories about her ex husband, but we won't go there. Good to know… look out for the festive brunches at the Schick Hotel Stefanie, such as the Christmas brunch and the Autumn symphony brunches. See upcoming events online, here. Insider Info… book at least two weeks in advance! Reserve a spot, here. We fancy… going to Hotel Stefanie for a special occasion, like celebrating a family member’s birthday. We recommend… filling up your plate with a variety of tasters you’ve never tried before, and realising how much more food there is in the kitchen and repeating the process. Again and again.